If this appears to be a drastic left turn from plasma cosmology theory, you’re right. However, one of the first rides that I had on my journey was quite familiar with the concept, working at the same laboratories which I’d linked to in my blog on the subject, Los Alamos National Labs. After flying to the Denver airport from Pennsylvania, and promptly starting my hitching journey to Taos, New Mexico from the airport – level 4, I was soon on my way. Though getting out of the airport took some investigating and leaving Denver was not so easy. The first driver described how he had reinforced this nesting place of an owl from the year before in the pine tree next to his house, because 3 of its babies fell out and died. Frank reinforced branches and placed a large deep basket there, explaining that owls find places to nest in things that already have a structure, they don’t build them. He showed me a picture on his phone of the present nest, with several baby owls’ eyes peering over the rim. Adorable! What a worthwhile investment of time and love! The next was a female nurse, Kerri, leaving her shift at the hospital, picking me up in her jeep with the top down, no, for the 1st time this year. It was something ridiculous like 82 degrees in Denver! The following, an IT network engineer who produces switches for different pods in East coast regions. Rob has a family and two young sons into baseball. He was on his way to meet up with a friend and his brother. Was told me the names of the more distinctive mountains that we drove by. Has a commitment to try to climb one mountain, somewhere each year. Described this ‘keyhole’ on Long’s Peak, a big mtn near Denver. Said that years ago he got his sister to go on a climb with him. They had to get to the base by 4am or something, because the rangers would not allow anyone to remain on the peak after noon. He described climbing through the keyhole, which is cylindrical hole cut out of rock on the face of the mountain, about the size of a 21 wheel truck (ha, now i have new analogies in my repertoire). The wind moves so swiftly through this hole in the rock, with a tremendous howl, that it was a powerful experience that they will never forget. And that he was really proud of his sister. He pointed out the Air Force Academy stadium and grounds as we were passing Colorado Springs. I fortunately scored a long ride with this guy! He pointed out the Air Force Academy stadium and grounds as we were passing Colorado Springs (where Pike’s Peak is). I fortunately scored a long ride with this guy! He pointed out NORAD, which the air defense built into the Cheyenne mountain, housing radar. He mentioned that they built it so deeply, as a defense against the Russian’s gaining any knowledge about it. Said that his dad was very intrigued with this and introduced him to it as a child. 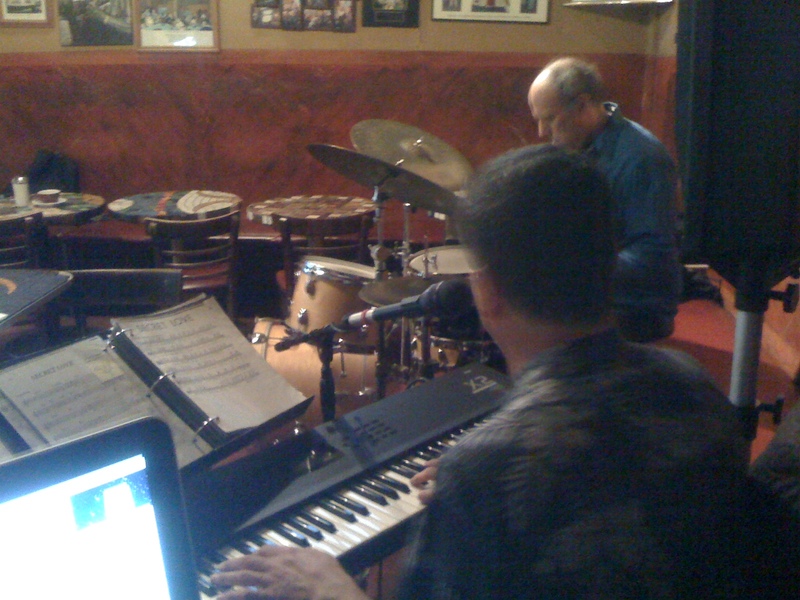 Funny thing, as I’m sitting here editing this story, i have to once in a while pause writing to clap, because i’m sitting in Caffe Trieste in North Beach which is at the moment ‘leider’ practically empty, yet with a jazz duo who set up and started playing a little while ago, with me tucked kind uv behind the piano player. I feel like I should be singing back up vocals sitting here. Hit’s hysterical, i’m laughing out loud. It’s this free entertainment, swing jazz kinda sound. ha! MTUNE is the name of the song that i recorded, the name of the African percussionist i believe circa 1973 ‘miles electric band’, conga drum player. After, a young couple picked me up, precisely because they weren’t a ‘couple’. I’ve learned from experience that couples typically do NOT pick people up. Yet, because each were sort of colleagues with their joint interest and each had their significant other within reach of their cell phones, giving me a ride wasn’t going to impinge on their intimate drive home. Tim is a 30 something guy who works at the Los Alamos National Laboratory. Amanda is a geologist also 30 something, I’m guessing. She had a lot to contribute, fueled by curiosity and capability in wrapping her head around the concepts. They were returning from an all day conference in Denver, back to the same New Mexico town. Each are on the school board, educating themselves in order to present to the rest of the community this new approach in education. They along with a few others, have the intention of opening a school, specifically modeled after the Expeditionary Learning, EL approach. 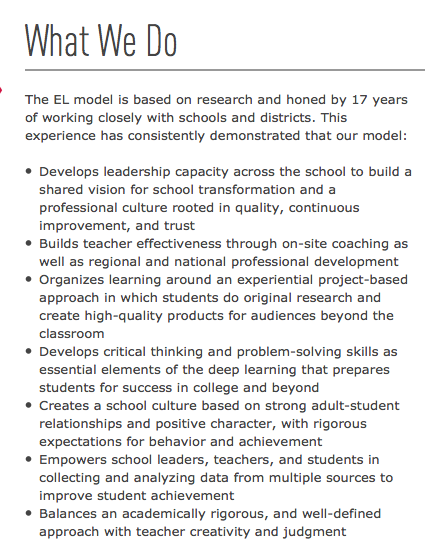 EL is modeled after the experiential learning, the hands-on approach. 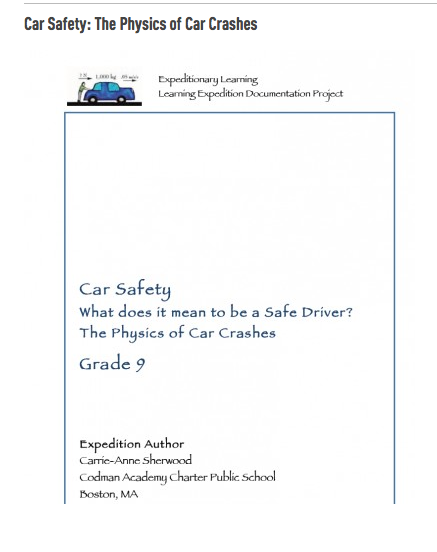 Expeditionary learning integrates different subjects into the same learning scenario context. Adding some dimension to learning outside of the dry regurgitation of facts, expeditionary learning is an organic approach which incorporates different subjects, presented together within the framework of a situation ‘problem to be solved/puzzled calculated’. It involves all of the senses and is more of a localized, rather than abstracted approach, through incorporating different subjects. They both were impressed with the conference they attended national conference about expeditionary learning in Denver, and were driving right through Taos. They left me off at my request, in front of the Taos Inn, my meeting place, since it was en route to their destination. 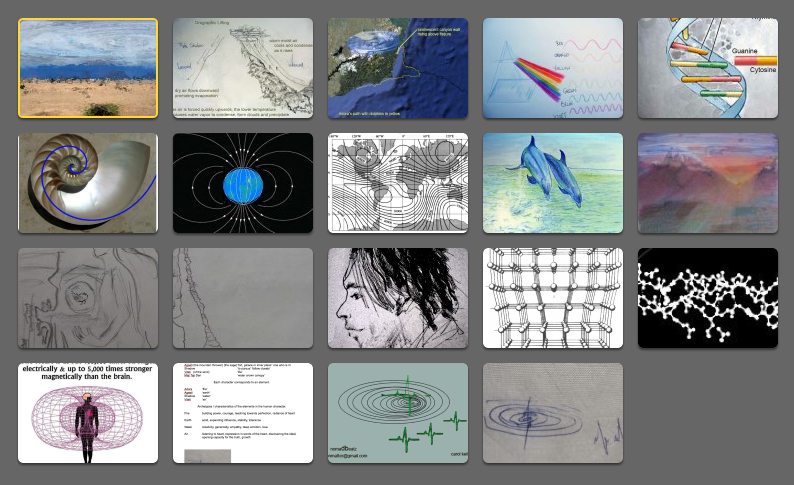 We had an enjoyable time and tremendously rich conversation covering an array of subjects; mostly segues from talks on the subject of EL – the need to bring a person’s local history and community into relevant scenarios to make learning more meaningful – and plenty of conversation about the nature of plasma, electronic systems, subatomic experiments… and a mention of how a lightning bolt (plasma phenomenon) can in one strike, erase all of the geological history that is coded into the layers of rock (from different alignments with the ‘north’ pole over different ages as this magnetically shifts) in one instant. The Expeditionary Learning ten design principles upon which the foundation is based, support the educational values and beliefs of their designer Kurt Hahn, who founded Outward Bound. Among the values Kurt Hahn stresses in education, compassion is paramount. We all talked pretty animatedly, discussing different subjects, along with descriptions of some experiments the driver does at the labs (without divulging any top-secret information). I’ll add more content to this blog, elaborating on the subjects. Come to think of it, my hitch-abouts are often a kind of ‘expeditionary learning’ experience, since I often come across all sorts of subjects, introduced to me through conversations with drivers’ who know a lot about the subjects they have the most experience or interest in, such as; geography, history, economics, anthropology, business, science… However, before I go into more depth on some of the information I came across and which I want to investigate more, in haste to post some pictures, I’m skipping the travels and information along the way, to the most recent pics taken on the streets of San Francisco, another intended stop off/visiting point. I have to point out that the last two truck drivers, now wait, i better not broadcast this, oh well. they were very nice, but clearly revealed symptoms of having ingested way too many methamphetamines during their driving lifetimes. The last guy’s entire body seemed to be inadvertently going into spasms, and the 2nd last one talked so fast, jumping from one subject to another, that I was exhausted just by trying to actively pay attention and maintain his wavelength. I was frankly, by this time over, riding in a truck. ‘-)) one of them pointed out that formerly in the 80’s, 90’s (?) when working in the cattle industry for a trucking companies, the dispatcher would tell 7 trucks to go to such and such a cattle farm to pick up a load, and wouldn’t let each of them know that 6 other trucks were also vying for the same load. that would push them (through this inhumane work environment) to compete on a (1st come 1st serve) basis, to get the job. Then if they’d arrive and it was gone, they’d have to bail to reach the next possibility. he blatantly said that they would have to do drugs to stay awake. Since then, the rules and regulations have changed. Now they are so strictly regulated by having everything electronically recorded from their truck computer. Their boss’s know each time that they turn the truck on, move it, know its position, etc, and they are authorized to drive maximum 14 hrs/day and no more than 70 hrs/wk. They’re fined if they break the rules. It certainly helps them out, but the reforms hurt them in other ways. Oh yeah, one of the truckers referred to the ‘rag heads’, mostly Pakistani (excuse me but these were his words) who acquire grants from the US Govt, to easily obtain a loan, work for a trucking firm for way below the going rate; consequently taking the jobs of other truckers. I caught a bus after the last truck, to make it to the Howweird Street fair on time to see old friends. It was the bus ride from “de light”! Suddenly I was among several fun people, and we all had fun hanging out! I have never had such an oddly enjoyable bus ride. It was from a county that had to transfer in Los Angeles and was heading to points north.